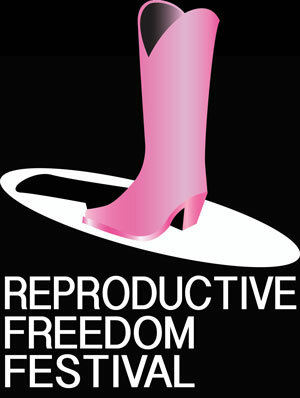 On March 20, 2016 (6 to 9 pm EST) we’re celebrating the first ever Live and Live Streaming Theatrical Reproductive Freedom Festival! We’re presenting the works of 25 plus writers from across the country, 30 actors and six directors about the past, present future and timeless nature of reproductive freedom, health, rights and justice. The one-time only theatrical event is being performed live in a studio in New York but through the magic of high-quality arts streaming with four cameras is instantly uploaded to any computer anywhere – it’s like an Indie version of the Met Opera Live. We’re partnering on this event with VirtualArts.TV, Kathryn Velvel Jones. People everywhere will feel like they are in the room with the actors, and can even tweet and chat with them and other participants. You can watch for all three hours, or join for a half-hour set! Following on the heels of the Supreme Court hearing in Whole Women’s Health v. Hellerstadt, the most important abortion case in more than a decade, writers and artists are speaking out in support of reproductive freedom. What do people think about virginity? And how does an artist interpret it? In a project connected to the film, How to Lose Your Virginity, virginity, love and art get a digital art boost on the Internet and an online gallery. Since it first came out, How to Lose Your Virginity has opened its portals to written submissions and commentary about virginity and sexuality. Ground Hog Day is no joke for reproductive rights as nasty laws making abortion harder to access pop up in state after state.